Dominic, Rheem School. 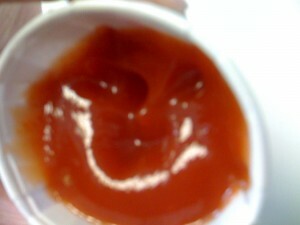 We were enjoying french fries and noticed that a few dips in ketchup had created a smile (the lighting really helped as well! ).